Use this 3/4" female threaded swivel x compression tubing adapter to connect poly tubing with .700" OD (outside diameter) to a 3/4" male threaded connection. 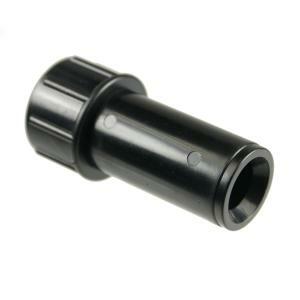 Adapter has convenient swivel on the threaded side for easy installation. Available in hose thread or pipe thread styles.